The e-Bee is a concept car for 2020 with car sharing options, ride sharing and smart mobility capabilities. The vehicle is based on a regular Nissan Leaf, stripped off to the chassis and rebuilt with Visteon parts. 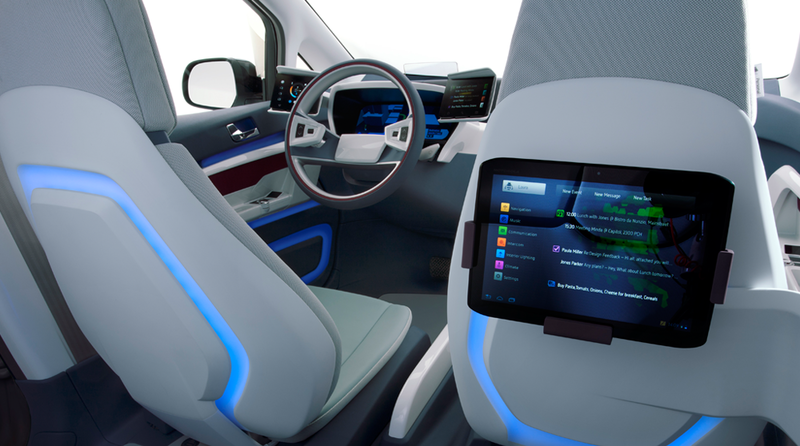 The goal was to design the car for not only driving from point A to B, but to let the passengers organize their digital social live while in the car and share their car with others. 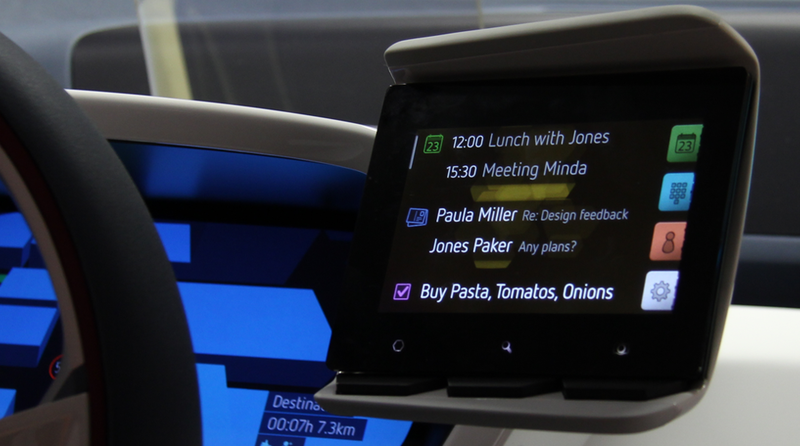 The complex information of the digital live and the information from the car was divided into three separate displays: one for the driving and car related stuff (left from steering wheel), one multitouch device – on the right hand side – for infotainment and the one in front of the driver (cluster) for routing information. 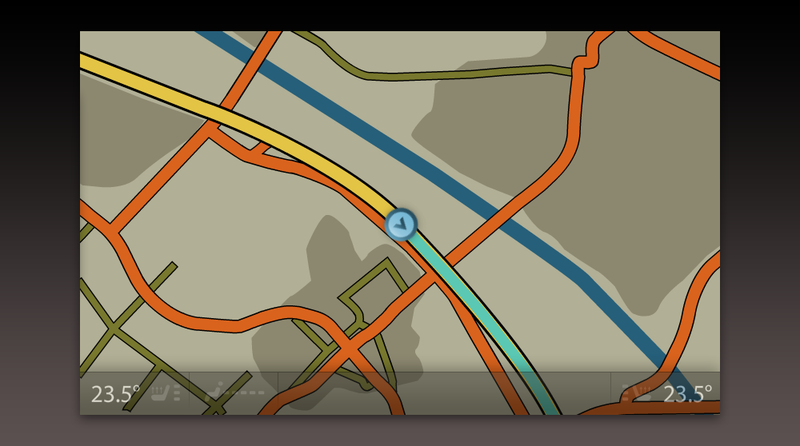 On the cluster the user can see a 3D-map of the surrounding area – rendered in real time – and augmented with all the social information needed to plan the trip and the live around it. 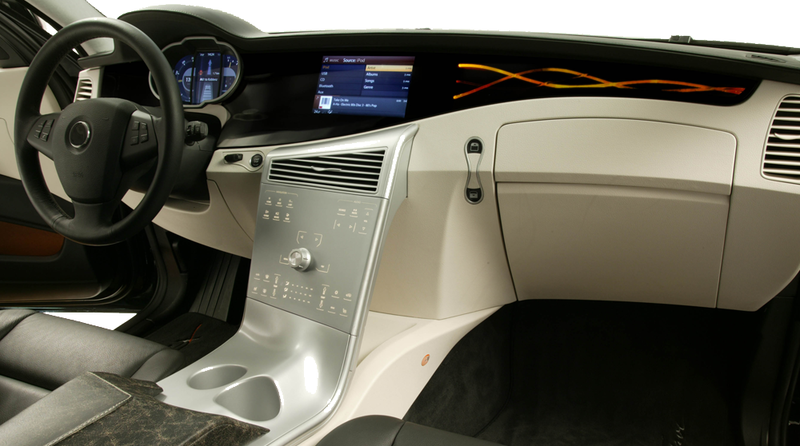 The system is based on a central server instance from VST (ui.cockpit) which handles all the communication between system components, the car and the driver and the passenger. 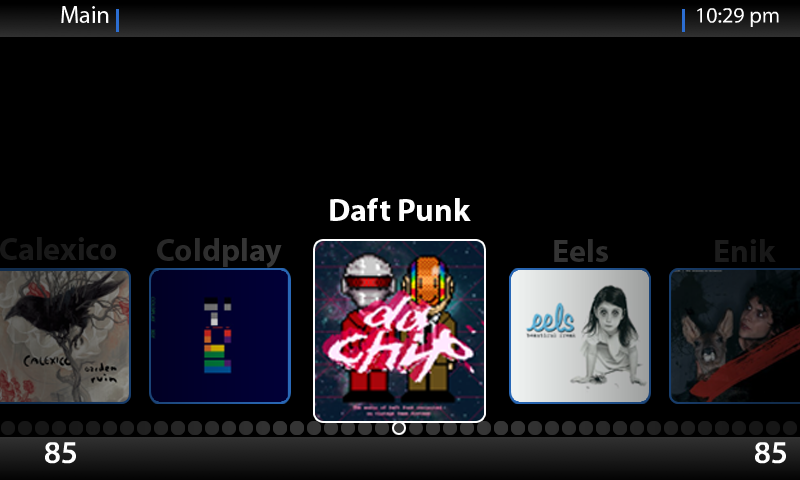 The whole system can be remotely controlled from an Android tablet. Chief Designer (Product design) Simon Harris of the Auto Envision Group about the e-Bee concept ate CES 2013 on YouTube. Bertrand Stelandre (Design & Innovation manager at Visteon) at Electronica 2012 about the concept vehicle on YouTube. To demonstrate the full range of the supplier potential, a regular BMW X5 was nearly stripped down to the chassis and rebuilt with Visteon parts inside and a completely new interaction system and design. Two version were built: one for the European and one for the US-market. 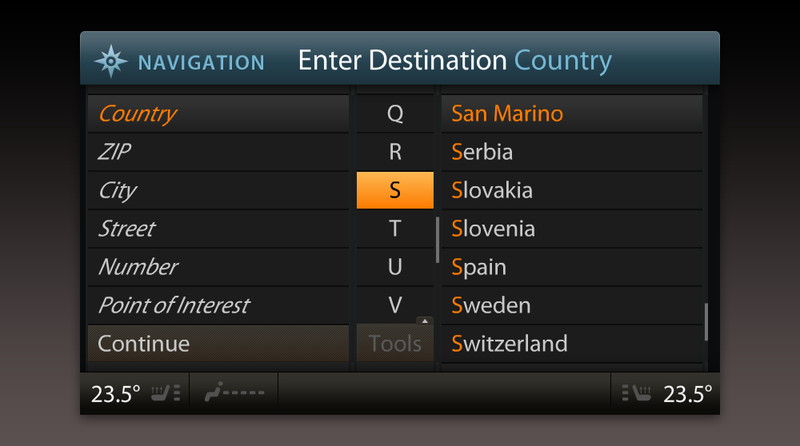 The interior design, the graphical user interface (GUI) and the interaction principles were adapted to both markets specific needs. The general aim – with building a prototype like this – was to improve customer appeal by optimizing the user interface and reducing complexity. 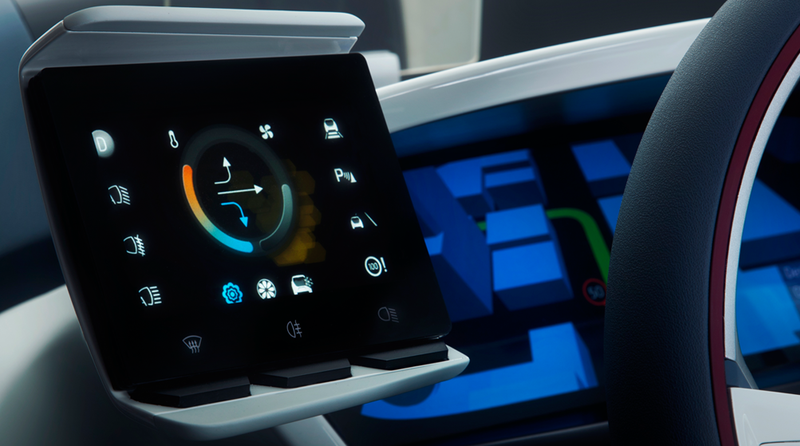 The applied user-centered design approach increases customer satisfaction by the intuitiveness of the hardware controls and the graphical interface. Driver distraction is reduced to a minimum. 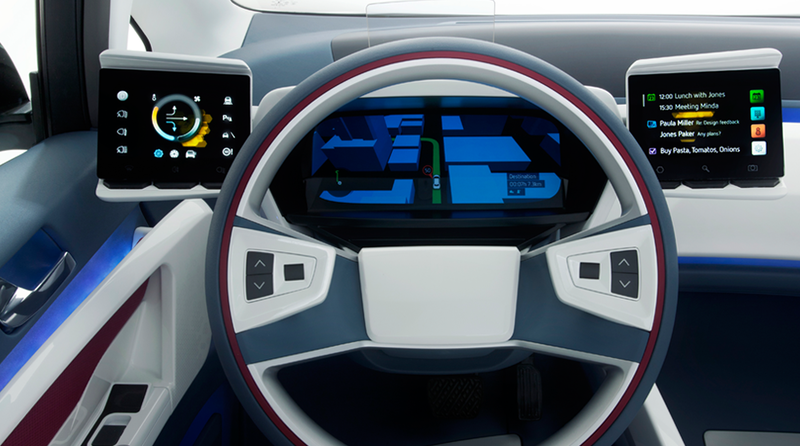 The interaction is based on the main rotary control – in the very centre of the dashboard – and several touch buttons with haptic feedback. 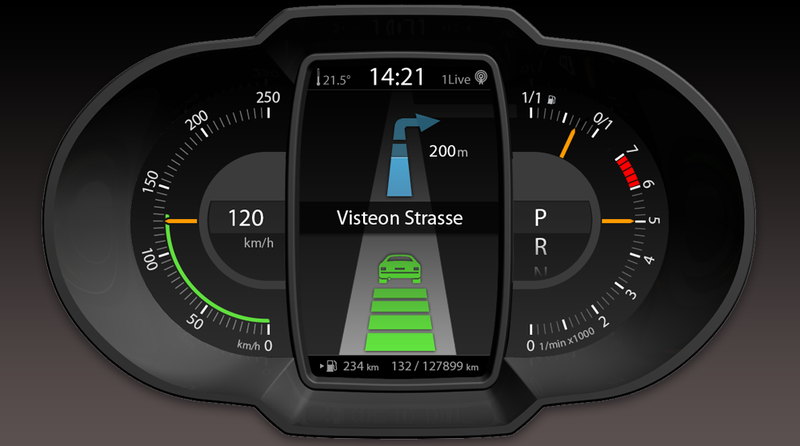 Driving related output is shown on the instrument cluster display with a 3D simulation of the turn by turn navigation. 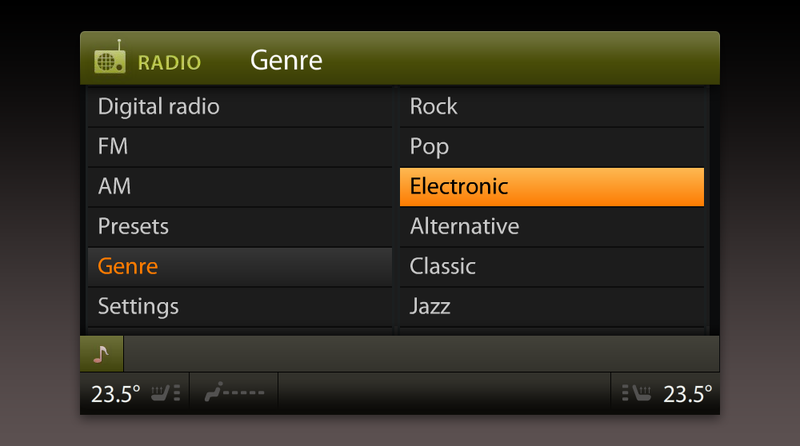 Entertainment and climate control is located on the the center information display (CID). 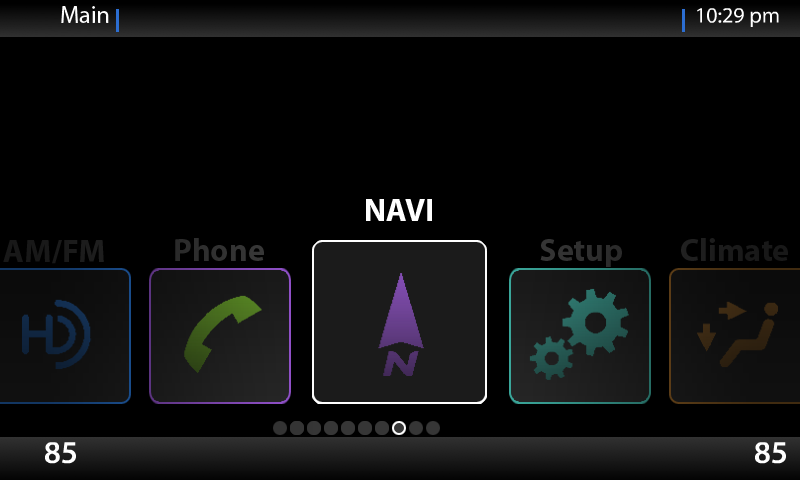 A two layered UI prototype with a regular touch interface and a gesture controlled interface concept. 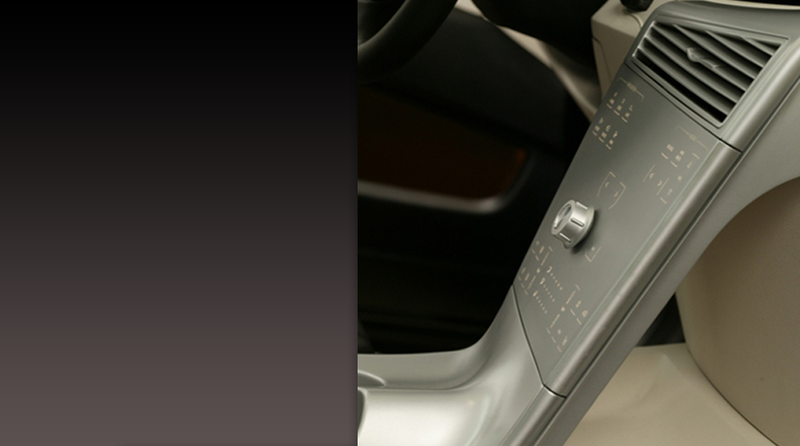 Clear gestures – left/right, up/down, stop, wave and hold – were used to navigate and control the system. 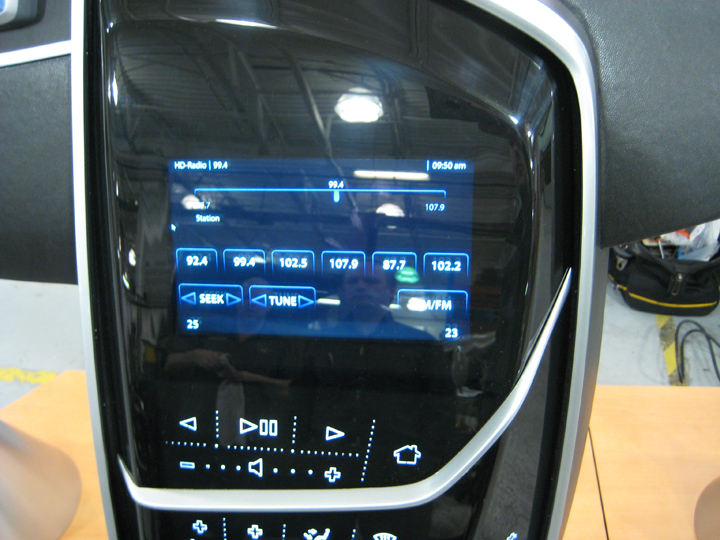 ICP stands for Integrated Control Panel and was presented on the 2010 and 2011 Consumer Electronics Shows. 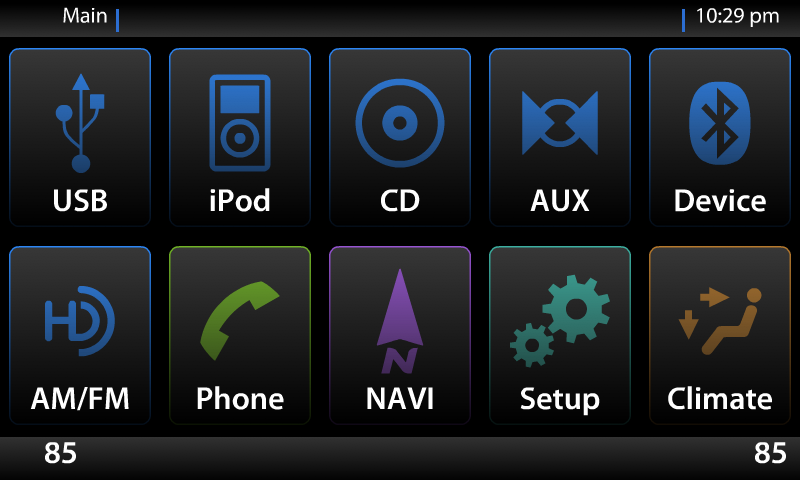 All functions for the car infotainment system for the market in North America were implemented and functional.